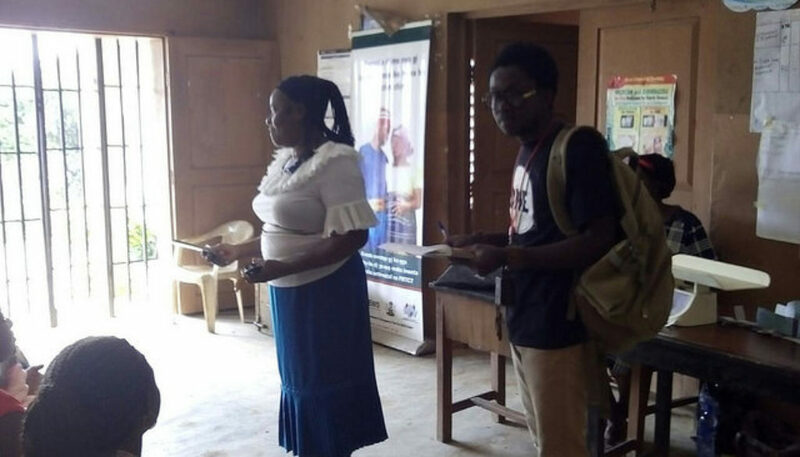 A leading NGO Connected development [CODE] has called on government at all level to take up one of its responsibilities by ensuring proper facilities are put in place in various primary health care centers in Nigeria. Following the release of $1.5million dollars from World Bank to the 36 states respectively including the Federal Capital Territory as part of the World Bank supported “Save One million Lives” the Follow the Money team of CODE visited 6 states respectively to assess the state of the PHCs to track the implementation of these funds. These states are Akwa Ibom, Enugu, Kano, Kogi, Osun and Yobe. Findings from the field visit to each of the states are appalling as most of the Primary Health Centres are facing several reprehensible and elementary challenges. Generically, most of them have no improved water supply, electricity, security, quarters for hospital staffers; there is no stationed doctor, and the toilet facilities are in a mess. Furthermore, because of these challenges, the PHCs do not operate 24/7, cannot admit or treat sick people and lack sufficient tables & chairs. Follow The money team visited Kantudu in Makoda LGA of Kano State. They found out that the PHC serves 2,500 people, all coming from 13 surrounding villages. The PHC was built 5-6 years ago as a senatorial project in Makoda LGA. The PHC has one male and female ward, which are not presently functioning. There are only three staffers with one community health worker who are not certified health professionals. During the interactive section with the head of community Alhaji Muhammad Musa, and the community association said that they have reached out to the government of Kano twice on the state of the health centre in Kantudu, but there was no response. “We hope this campaign with ONE and CODE will make the government of Kano look at the plight of our health center so that our people can start using it” says Malam Ali, the medical head at the PHC. Our team went on ground to track the $1.5m earmarked by the World Bank and the Federal Government of Nigeria for the Saving One Million Lives Initiative and all we could see while on the field is nothing to write home about. From our findings, the facility is meant to serve 11 villages which are: Gboore, Alajue-Logun, Asunmo, Ayegbami, Agbopa, Jagun-Odomu, Olodan, Aladie, Amosun, Seesa, Akiribiti amongst others. In total, the target population which the facility is meant to serve is 12,498. 498 of the population are children less than one year, the Primary Health Care Centre has a monthly target of 42 patients, but it ends up serving more than 400 on an average. Consequently, a Freedom of Information letters was sent to the concerned government institutions and offices for a breakdown of the funds usage, implementation window and respective contractors, especially the governmental institutions concerned, to instantaneously start the implementation of these funds, ensure transparency & accountability in the funds’ implementation, and make government data open in line with the Open Government Partnership. Follow The Money is a growing movement currently in 32 states of the country, held community outreaches to 10 primary health facilities in Kano, Yobe, Osun, and found out that all were in a state of dysfunction, even with the funds that have been released to the states to upgrade the primary health care “Most of the Clinic at the PHC in the 5 states that our community reporters visited were in an abandoned state, lacks basic healthcare amenities and needs urgent attention to serve people at local communities.” affirmed HamzatLawal, CODE’s Chief Executive & Co-Founder, Follow The Money. He stressed that annually; Nigeria loses over 99% children below the age of 5 due to dilapidated healthcare services and urges government actions to serve the people by improving better service delivery while ensuring transparency and accountability.